Make way for your favorite garden residents! 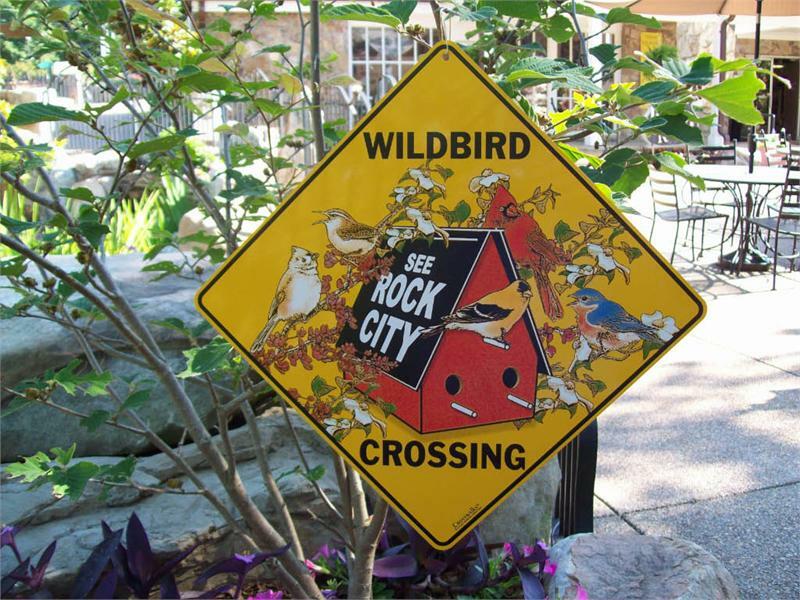 Our Wild Bird Crossing sign features the famous See Rock City Birdhouse along with some of the most popular backyard birds. The yellow aluminum sign is 12” x 12” with rounded corners and a drilled hole for hanging.